The culmination of a concept that combines geometric materials with ethereal transparency: the SP range of mirrors is the result of a conceptual and sensorial journey focused on metal, reflection, light, volume and technology. A range that stems from a creative experience catering for real people, objects designed to improve the way we use and enjoy spaces here and now. 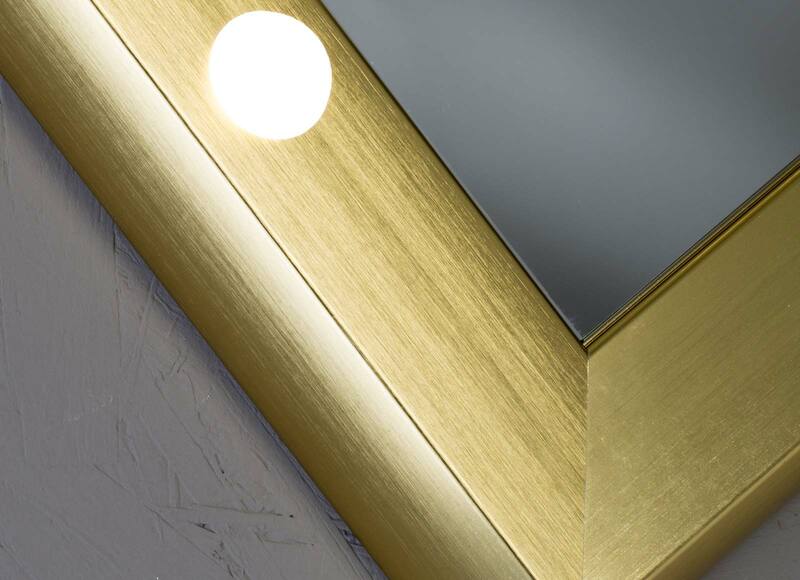 Frames bevelled at an angle of 5° provide the ideal incidence of light on the face. 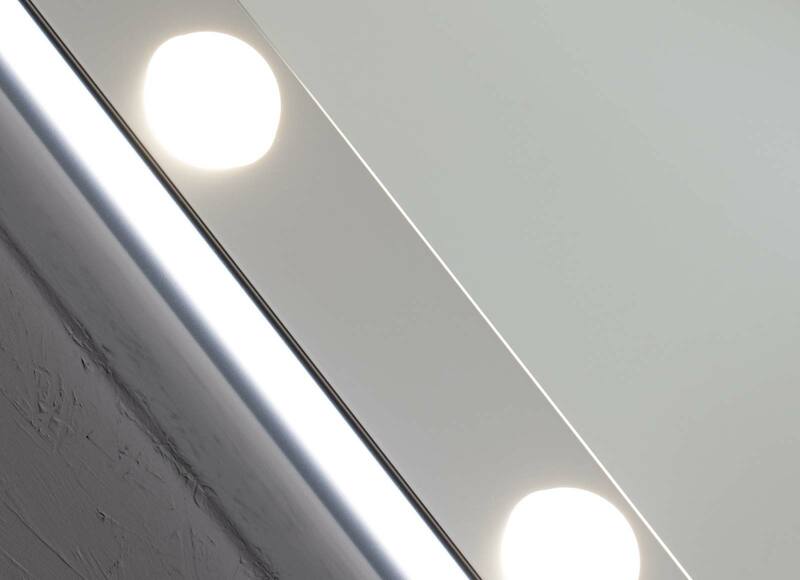 The opaline lenses through which the I-light is diffused enrich the smooth geometric surfaces of the aluminium frames with a multitude of reflections. A stunning collection of mirrors of authentic design, in which form plays with transparencies and perspectives, taking on depth and significance and joining forces with advanced technology to fit into real, liveable spaces in a functional and flexible way. Would you like to buy an SP mirror? 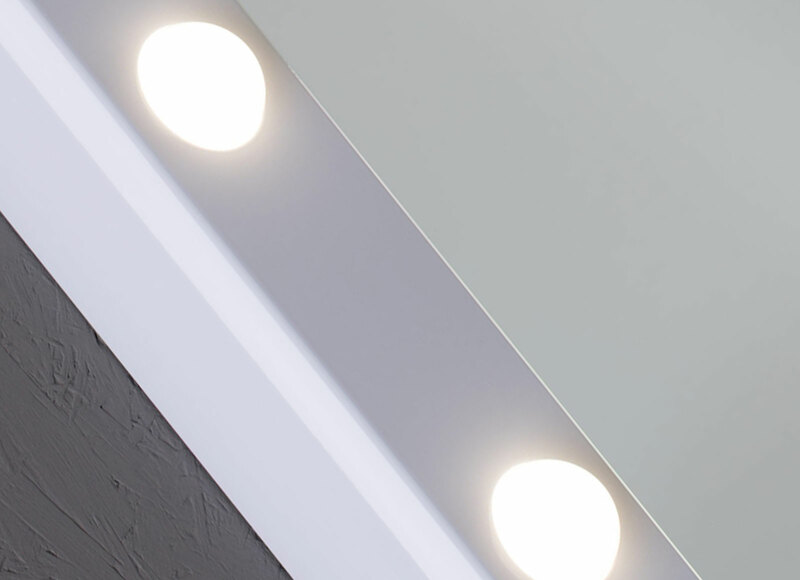 The SP range is composed of wall-mounted mirrors with diffused and adjustable lighting based on I-light technology. The aluminium frame, bevelled at an angle of 5°, is available in a variety of anodized or painted finishes. The hemispherical opaline lenses are set into shaped mounts on the frame with millimetre-level accuracy. 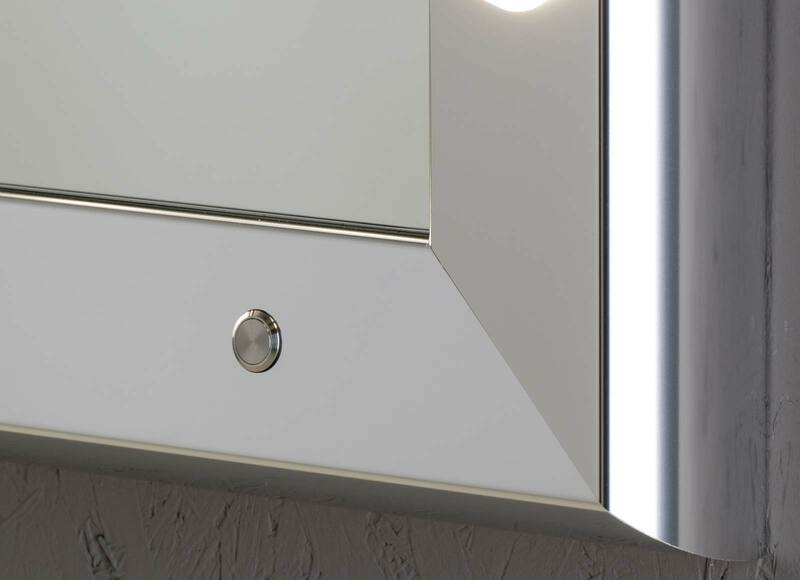 The SP wall-mounted mirrors are available in three standard sizes (see “sizes available”) and can also be made to measure.